The 11Alive Stormtrackers are keeping you updated as this storm moves through. 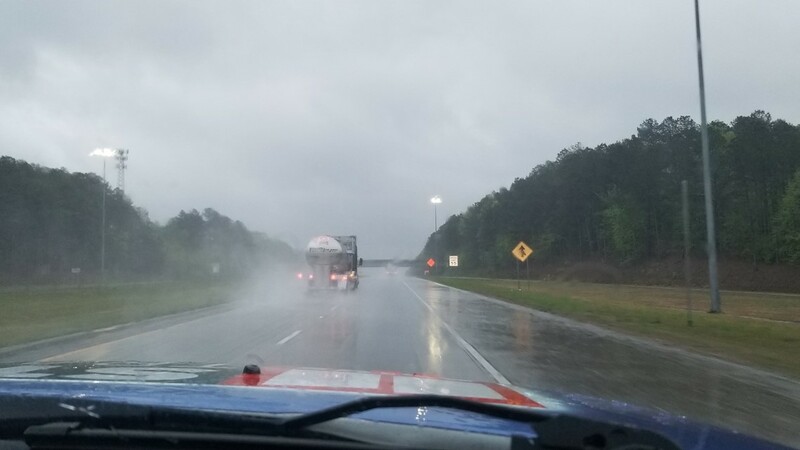 Severe weather is moving through the South East and as it lands in Georgia, the 11Alive Stormtrackers have your back. 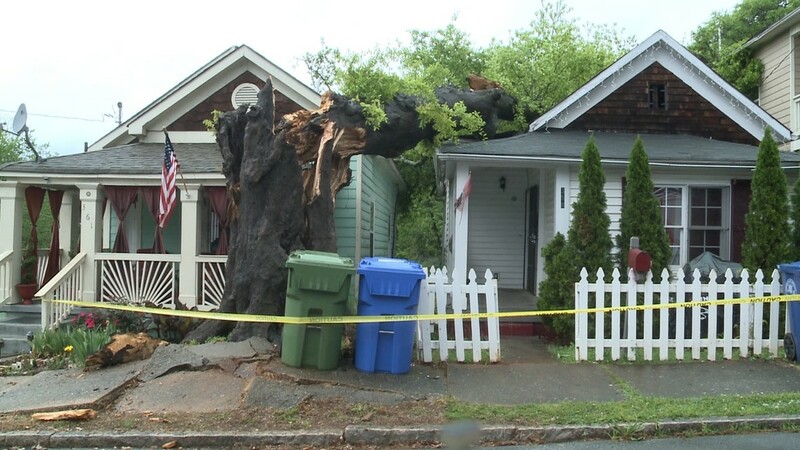 This story will be updated as the storm moves and changes. Check here for the latest watches are warning from the National Weather System. Also, to get alerts sent directly to your phone, download the 11Alive News app in the iTunes store or on Google Play and turn on notifications. 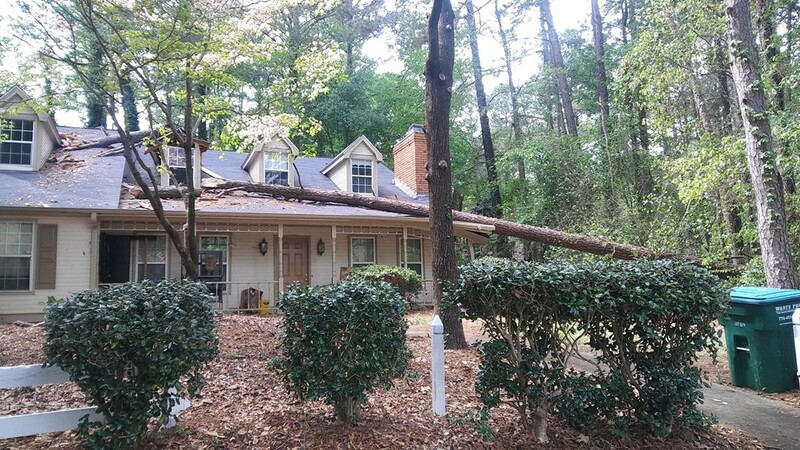 4:30 a.m. | Around 3,832 customers remain remain affected by power outages across Georgia. 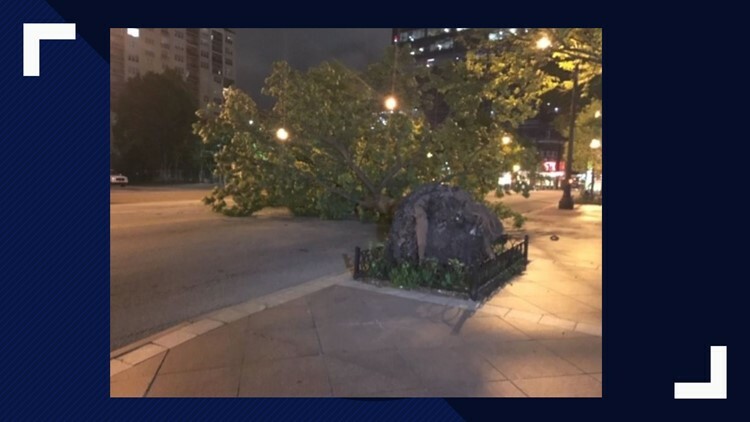 12:30 a.m. | A tree fell down on 1100 Peachtree Street and it's blocking three lanes. 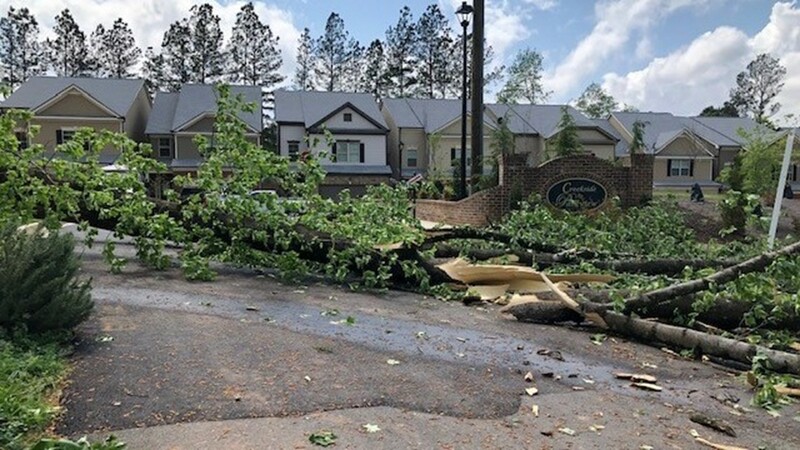 11:55 p.m. | About 5,400 customers remain without power state-wide after severe storms moved through north Georgia, Sunday. 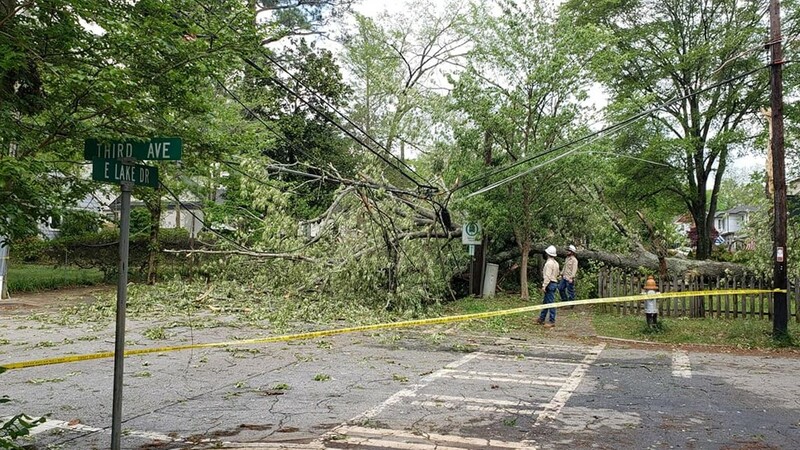 Counties with the most outages reported include DeKalb, Douglas, Cherokee, Gwinnett and Fulton Counties. 11:22 p.m. | Cooler air and gusty winds are moving into north Georgia after an active day for severe weather on Sunday. 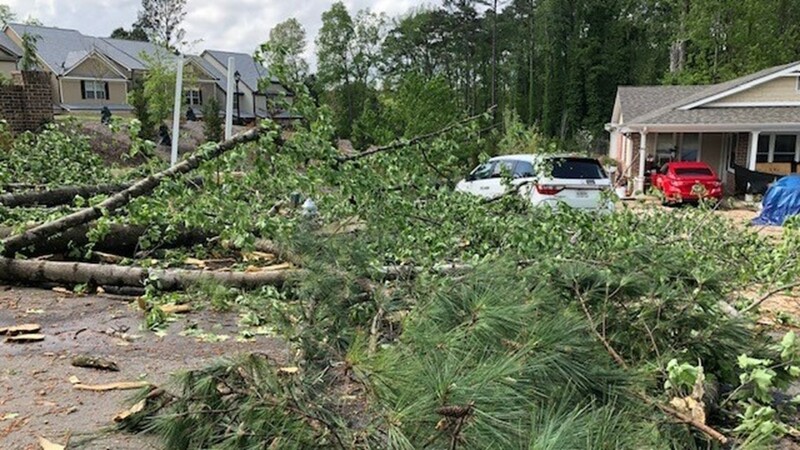 11Alive StormTracker Samantha Mohr has the latest weather update. 9:45 p.m. | The Tornado Warning has been allowed to expire. 9:24 p.m. | The TORNADO WARNING has been extended for Greene County until 9:45 p.m. A new tornado warning has been issued for Oglethorpe and Wilkes counties until 9:45 p.m., as well. 9:01 p.m. | The Severe Thunderstorm Watch has been dropped for Banks, Barrow, DeKalb, Gwinnett, Hall, Jackson and White counties. 8:49 p.m. | A TORNADO WARNING has been issued for Morgan and Greene Counties until 9:30 p.m.
8:12 p.m. | The National Weather Service has dropped Cherokee, Clayton, Cobb, Coweta, Dawson, Douglas, Fayette, Forsyth, Fulton, Lumpkin, Pickens, Towns and Union counties from the Severe Thunderstorm Watch. 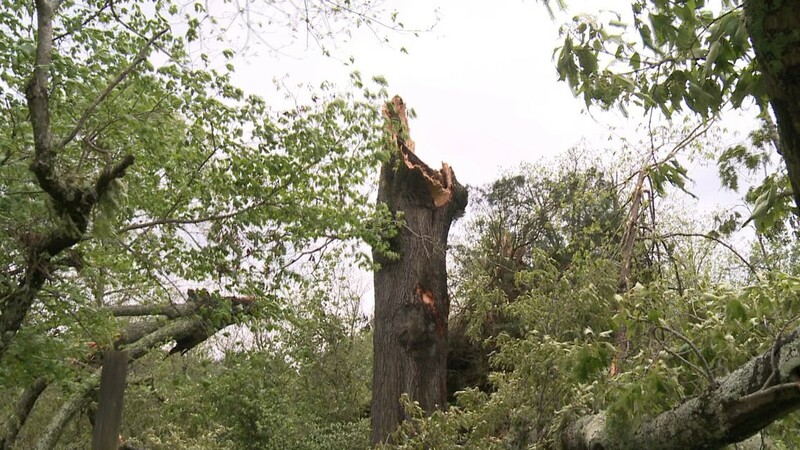 It remains in effect for Banks, Barrow, DeKalb, Gwinnett, Hall, Jackson and White counties until 10 p.m.
7:37 p.m. | The Severe Thunderstorm Warning has been dropped for Clayton, Forsyth and Fulton Counties. 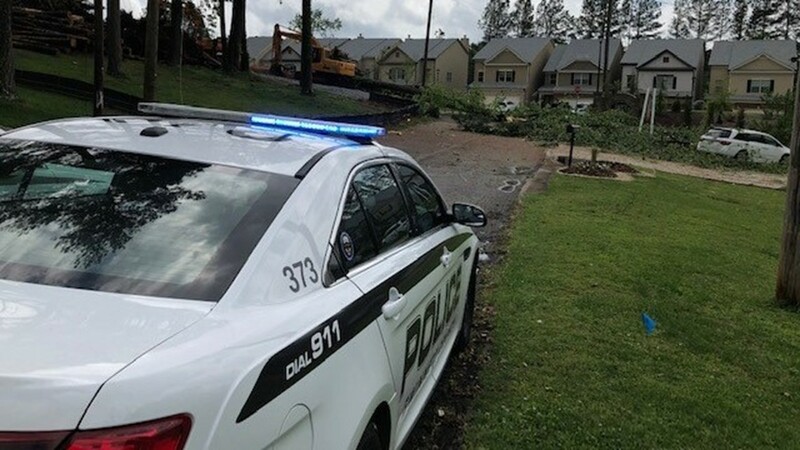 It remains in effect for DeKalb and Gwinnett Counties until 8 p.m.
7:33 p.m. | The National Weather Service has issued a Severe Thunderstorm Warning for parts of Clayton, DeKalb, Forsyth, Fulton and Gwinnett counties until 8 p.m.
7:08 p.m. | Cobb Parkway south between Roswell Road and South Marietta Parwkway will be closed for the next two hours due to downed power lines in the road. 7:02 p.m. | The Severe Thunderstorm Watch has been allowed to expire for Fannin, Gilmer, Bartow, Carroll, Gordon, Murray, Paulding and Heard counties. 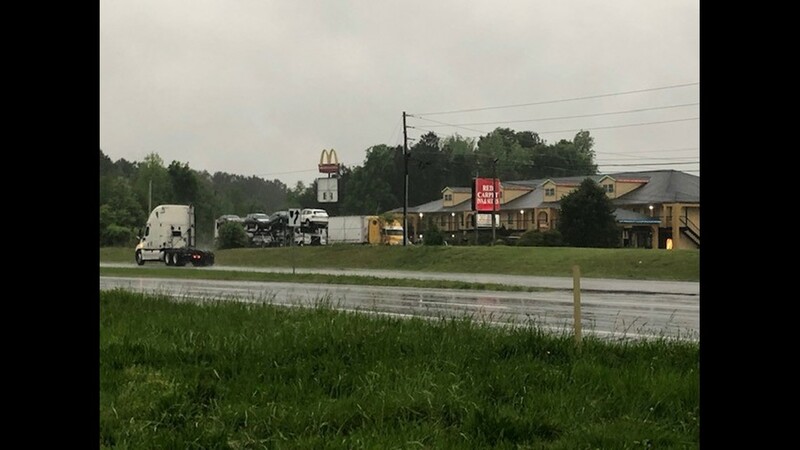 6:17 p.m. | A flash flood warning has been issued for Dawson and Lumpkin counties until 12:15 a.m.
5:47 p.m. | The tornado watch has been allowed to expire for many eastern Georgia counties, including Green County. 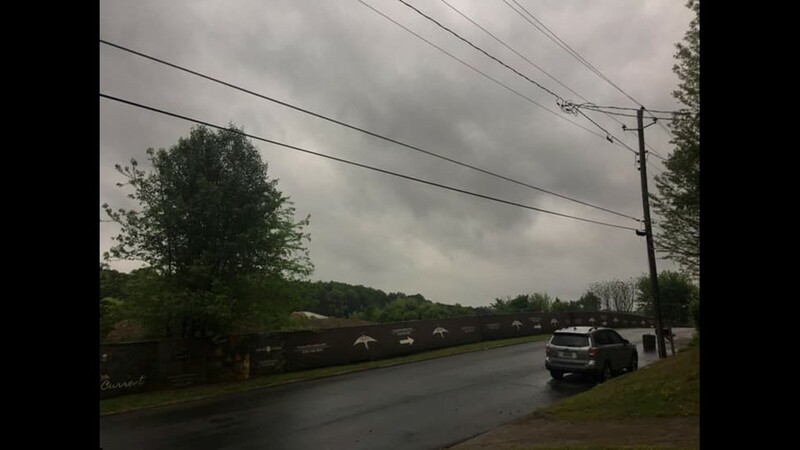 4:25 p.m. | A new Severe Thunderstorm Watch has been issued until 10 p.m. for several counties in North Georgia, including metro Atlanta. The counties included in the watch are Banks, Barrow, Bartow, Carroll, Cherokee, Clayton, Cobb, Coweta, Dawson, DeKalb, Douglas, Fannin, Fayette, Forsyth, Fulton, Cilmer, Gordon, Gwinnett, Hall, Heard, Jackson, Lumpkin, Murray, Paulding, Pickens, Towns, Union and White. 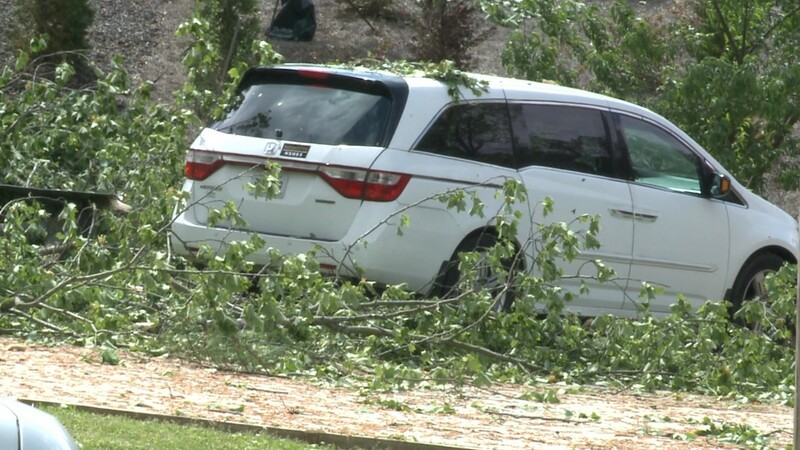 3:46 p.m. | High winds and heavy rain rolled through the morning hours, leaving some people in dark. 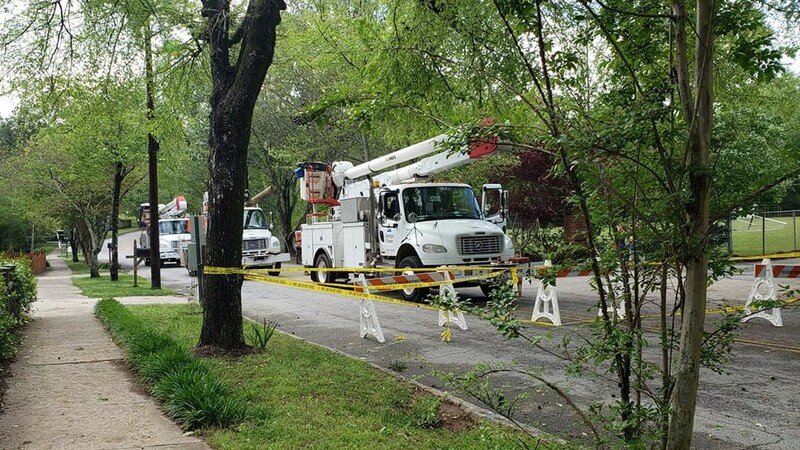 Customers from Georgia EMC and Georgia Power reported outages on their websites. 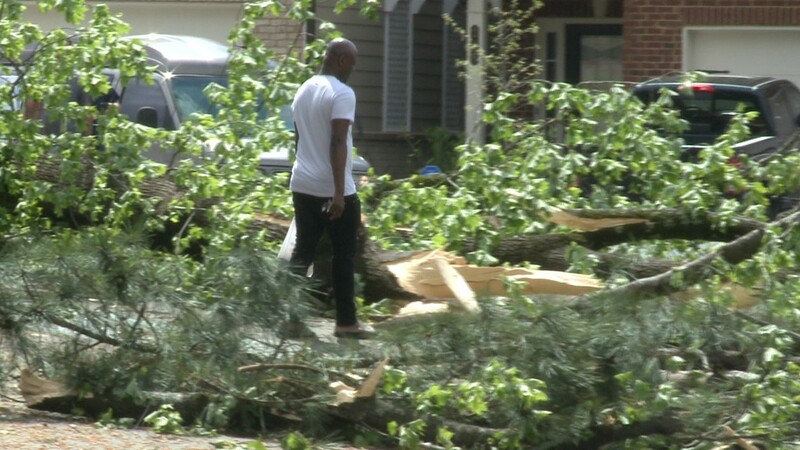 11Alive crews also found several trees down across north Georgia, including in Gwinnett County. 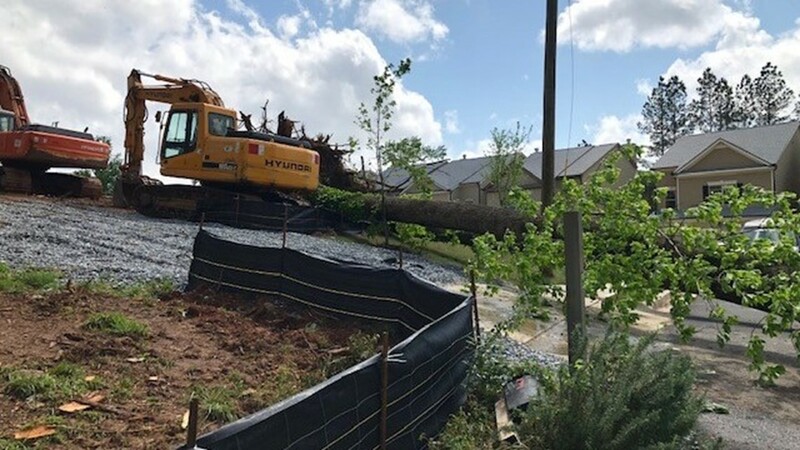 3:41 p.m. | Crews were working to remove a large tree that had fallen on power lines near East Lake Drive at Third Avenue. 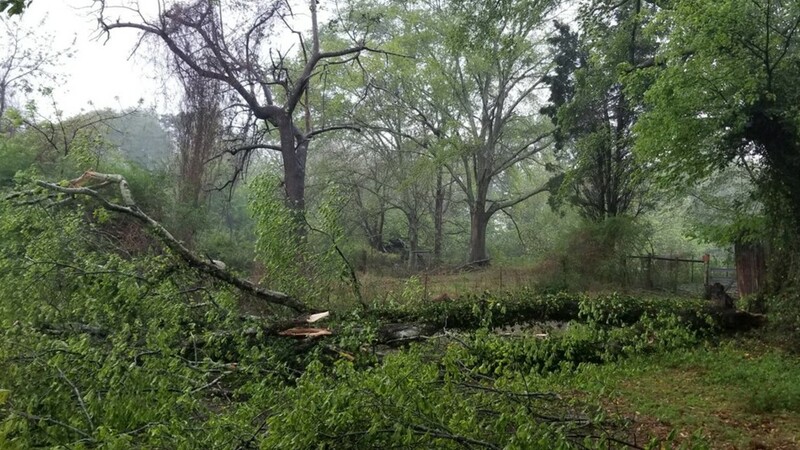 2 p.m. | The tornado watch for metro Atlanta and North Georgia has expired. A new watch has been issued for east Georgia. 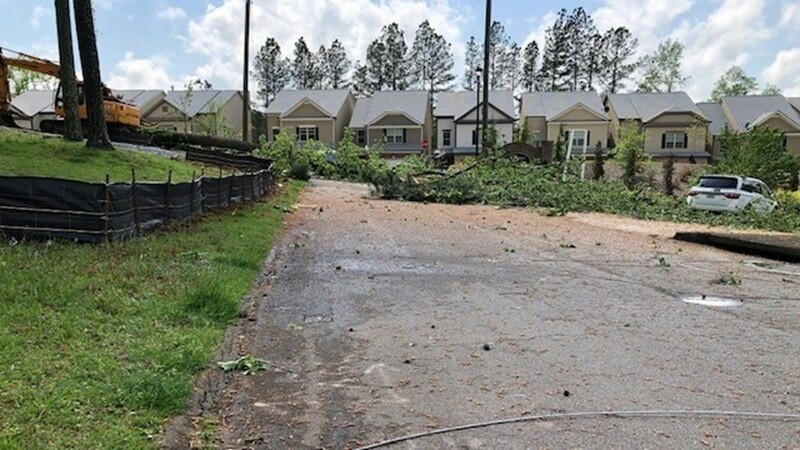 This will expire at 7 p.m.
A total of 21 counties are included: Baldwin; Dodge; Emanuel; Glascock; Greene; Hancock; Jefferson; Johnson; Laurens; Madison; Montgomery; Oglethorpe; Taliaferro; Telfair; Toombs; Treutlen; Warren; Washington; Wheeler; Wilkes; Wilkinson. 1:52 p.m. | Severe thunderstorm warning issued for Rabun County. This expires at 2:15 p.m.
1:46 p.m. | The severe thunderstorm warning for Banks and Jackson counties will expire at 2:15 p.m.
1:25 p.m. | A new thunderstorm warning is in place for Habersham and Rabun counties.This expires at 2:15 p.m.
1:23 p.m. | A new severe thunderstorm warning has been issued for Baldwin and Wilkinson counties until 1:30 p.m.
1:14 p.m. | A severe thunderstorm warning is in effect until 1:45 p.m. for Barrow, Hall and Jackson counties. 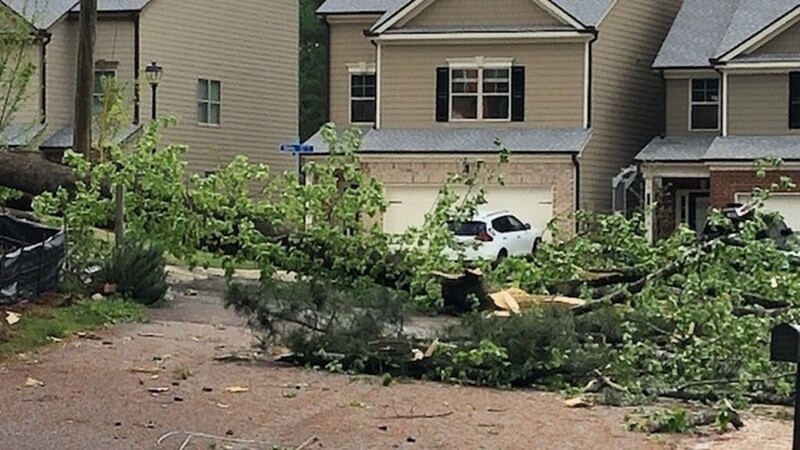 1 p.m. | A new tornado warning has been issued for Gwinnett County. 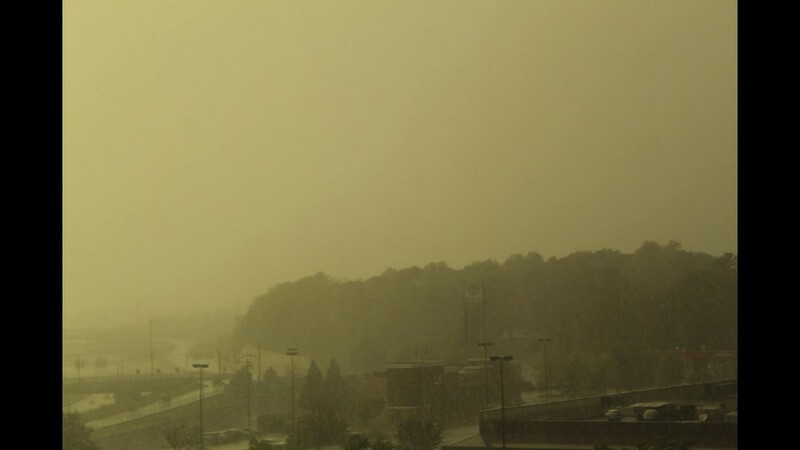 This is in effect until 1: 30 p.m.
12: 54 p.m. | These counties are under a severe thunder storm warning until 1 p.m.
12:20 p.m. | A severe thunderstorm warning is in effect for Barrow, Gwinnett, Jackson, Newton, Oconee, Rockdale, and Walton counties until 1 p.m.
12:10 p.m. | The tornado warning has been canceled. 11: 53 a.m. | Tornado warning issued for Butts, Henry and Spalding County until 12:30 p.m.
11: 42 a.m. | A severe thunderstorm warning has been issued for Butts, Henry, Lamar, Pike, and Spalding counties until 12:15 p.m.
11:30 a.m. | The tornado warning has been canceled for Talbot County. 11: 23 a.m. | A new tornado warning has been issued for Calhoun; Clay; Early; Randolph; Terrell until noon. 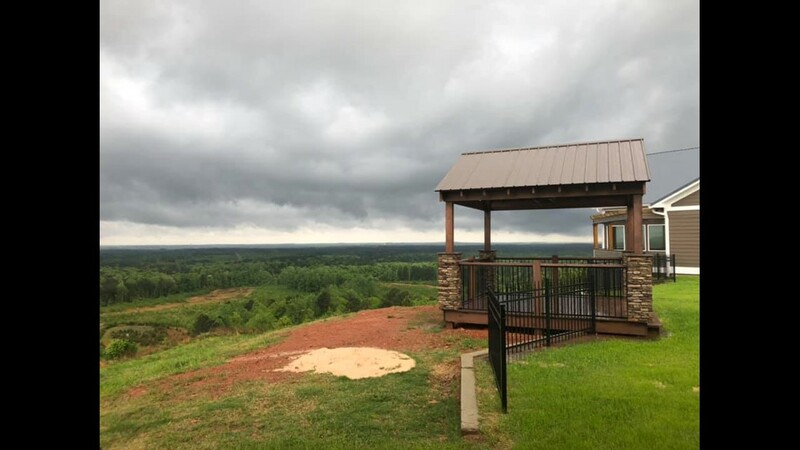 11: 19 a.m. | Tornado Warning issued for Lamar, Pike, Upson and Talbot counties until 11: 45 a.m.
11 a.m. | A severe thunderstorm warning is in effect for Talbot and Upson Counties until 11:45 a.m. 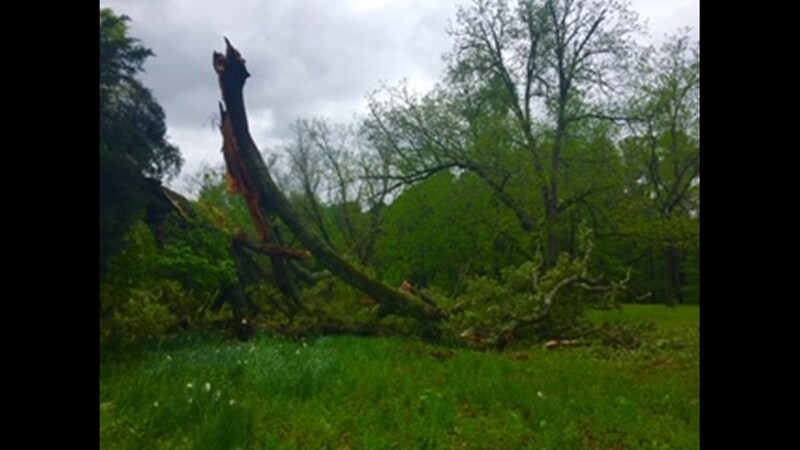 Locations impacted include Thomaston, Talbotton, Woodland, Sunset Village, Lincoln Park, Atwater, Redbone Crossroads, Baughville, Olive Branch, Po Biddy Crossroads, Sprewell Bluff State Park, Crest, Pleasant Hill, Logtown, Sunnyside, Hannahs Mill and Big Lazer Creek Wma. 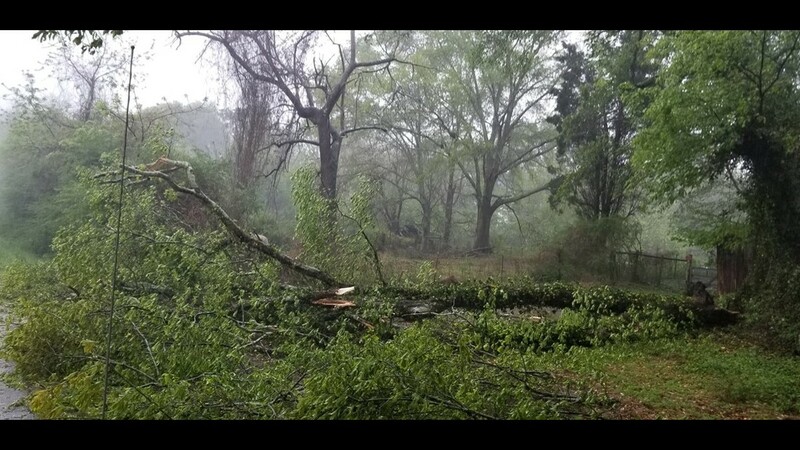 10:45 a.m. | 11Alive StormTracker Wes Peery spotted a tree down in Temple, Georgia south of I-20. 9:44 a.m. | A severe thunderstorm warning has been issued for Haralson and Polk counties until 10:15 a.m.
9:42 a.m. | A severe thunderstorm warning has been issued for Chattahoochee, Harris, and Muscogee counties until 10:30 a.m.
9:38 a.m. | 11Alive StormTracker Wes Peery is in Breman, Ga. 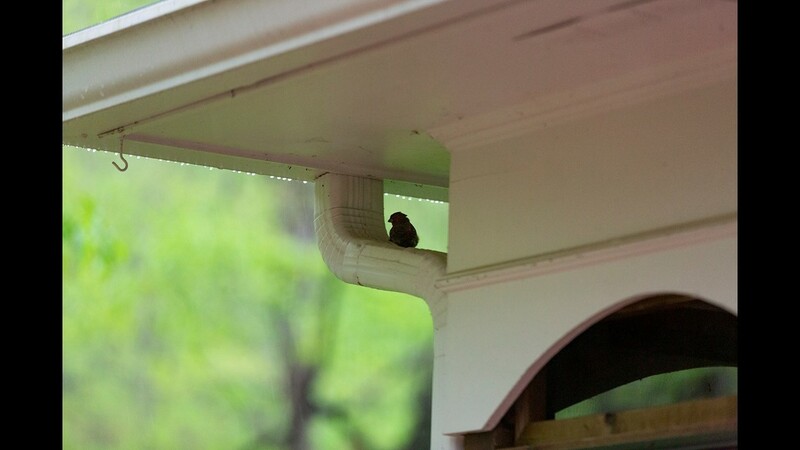 He's starting to see showers in the area. 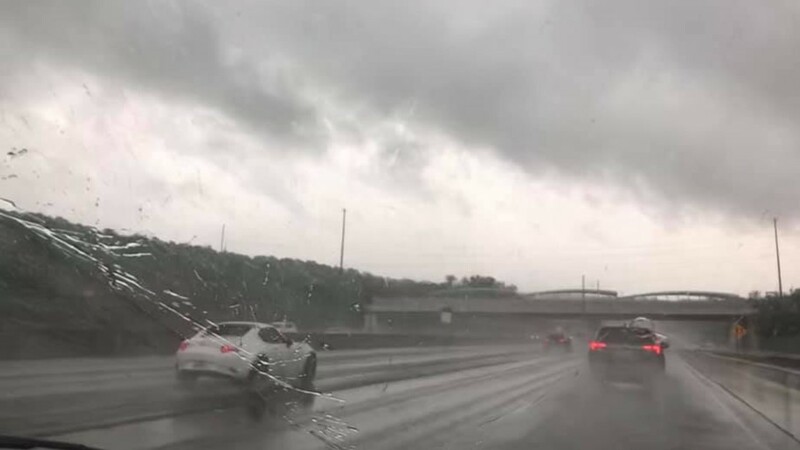 9:30 a.m. | Ponding reported along I-20 as storms move in from the west. Heavy rain is causing decreased visibility on the interstate. 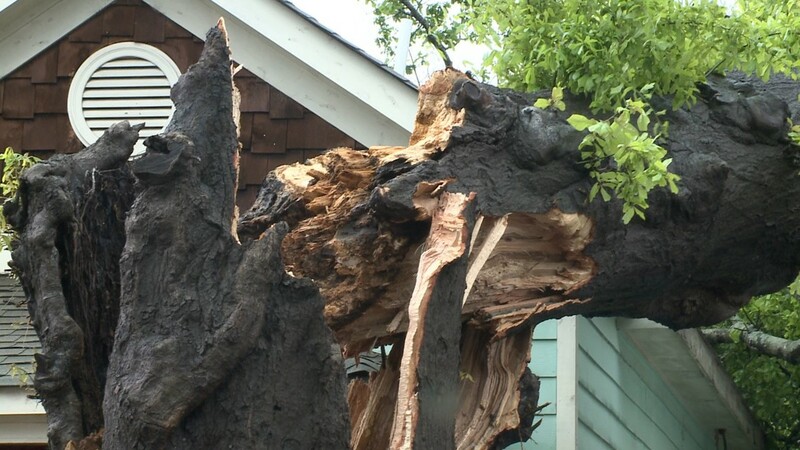 9:10 a.m. | 11Alive has crews in the metro area monitoring condition. 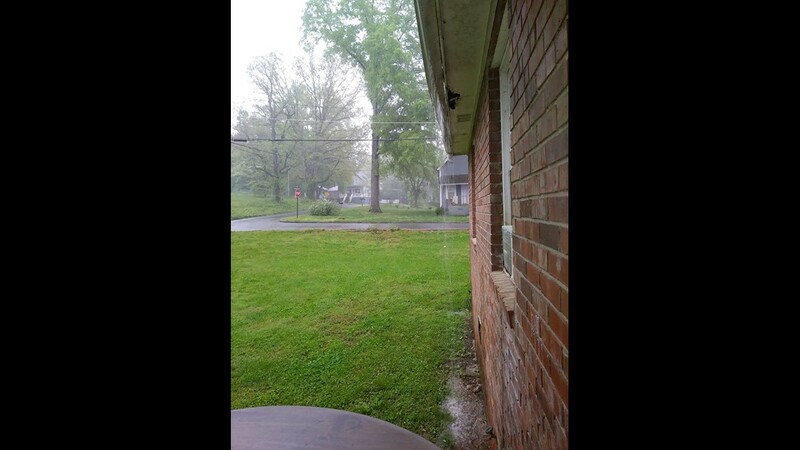 11Alive's Nick Sturdivant is in Coweta County where rain is starting to pick up. 7:58 a.m. | A severe thunderstorm warning has been issued for Floyd County until 8:45 a.m. The warning in Chattooga County has been extended until 8:45 a.m. 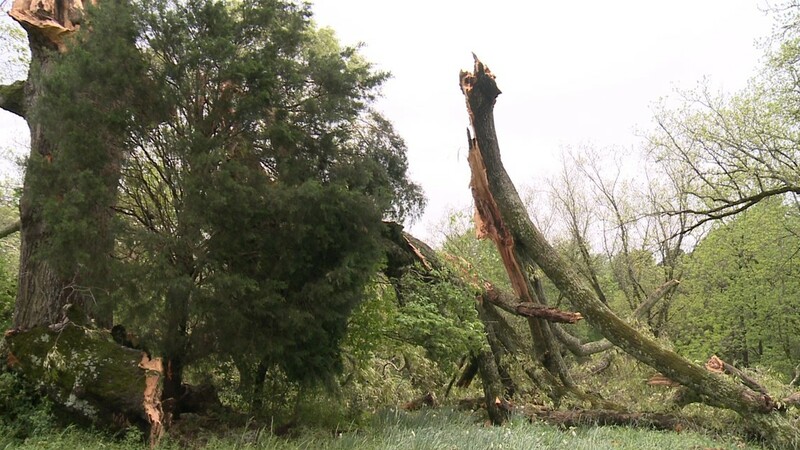 Potential hazards include 60 MPH wind gusts. 7:50 a.m. | A severe thunderstorm warning has been issued for Walker, Dade and Chattooga counties in northwest Georgia until 8:30 a.m.
At 7:49 a.m., severe thunderstorms were located along a line extending from Bridgeport to Hammondville to near Sand Rock moving northeast at 35 MPH. 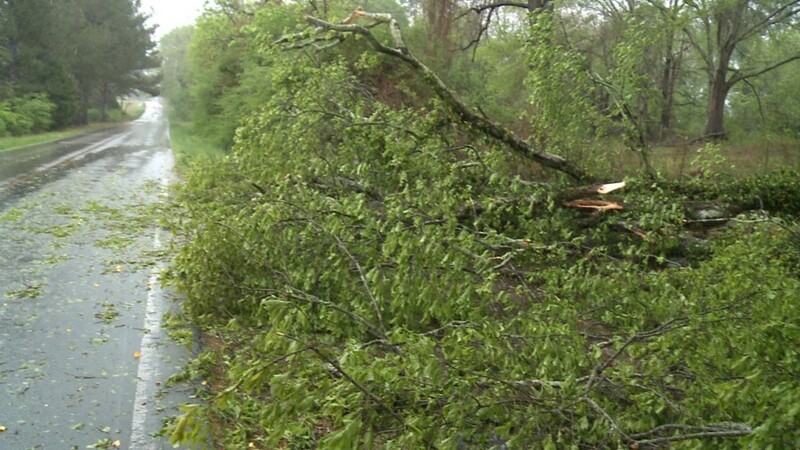 Hazards include 60 MPH wind gusts. The watch is in effect until 2 p.m.
A Watch indicates that conditions are favorable for severe weather. These are often issued before a warning. A Warning means that the event is occurring, imminent or likely. 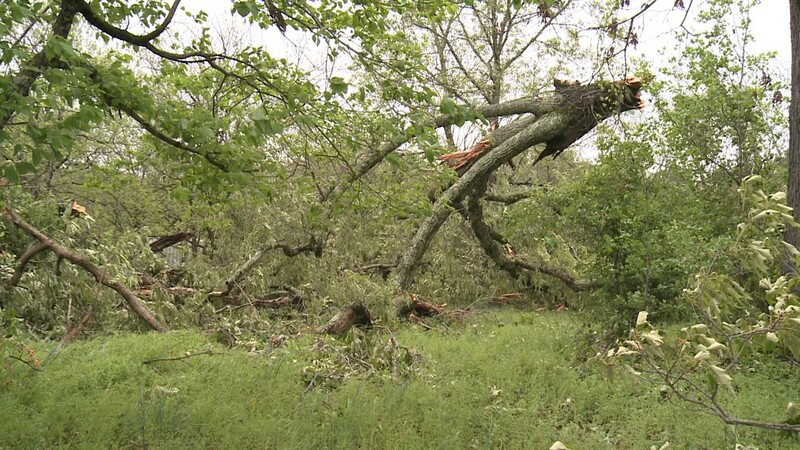 If you hear of a warning, it is time to take action immediately to save lives and property. 6:44 a.m. | The NWS said storms along the I-65 corridor in Alabama have weakened. 6:30 a.m. | 11Alive Stormtracker Chris Holcomb is giving LIVE updates as the models change. 5:40 a.m. | Our severe risk has been downgraded to slight-level two out of five. 11Alive Stormtracker Wes Peery said while that is good news, severe storms capable of producing damaging wind gusts and tornadoes are still forecast to move through Georgia. 3:30 a.m. | A wind advisory is in effect for all of north and northwest Georgia until 10 p.m.
2 a.m. | Tornado watch has been issued for Calhoun, Etowah, Montgomery and Talladega counties until 9:00 a.m.